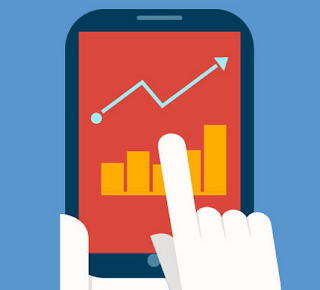 A strong App marketing strategy is essential for the success of any mobile app. You’ve got a great idea and you spent 4-6 months on developing your mobile app. If you don’t market your App, the chances of it failing are obviously very high – Why? There are over 1.4M apps on the Appstore and over 1.4M in the Google play store. Even the greatest App idea would certainly need some amount of marketing to create the traction and user base. Like investing time and effort in developing your mobile app, it’s equally important to invest time in creating a strong marketing strategy. If you thought of creating a marketing strategy after developing the mobile App, you might be wrong and you are most certainly confusing marketing with advertising. Marketing strategy should be the soul of your app, determined during the ideation stage. This is when you’ve to extensively research on who your target audience is and what your competitors are doing. From the ideation session to post launch, the marketing team would continue to play an extremely important role. Think of it as manufacturing an automobile or constructing a shopping mall. Would you first invest in building the final product and then figure if it ever had a market? No? Well gentlemen, mobile app, like any other product needs to be go through cycles of strategic marketing, to facilitate its transformation into a brand. You either solve a problem or create a need! In both cases, you need a solid marketing plan. Create a marketing blueprint that analyzes the needs and records the behavior of your target audience. This blueprint should then become your bible – it should streamline your teams decisions across features, technology, UX, content and absolutely anything that will go into your app. Quantitative research is asking people for their opinions in a structured process to produce hard facts and statistics to guide the marketing team. It’s important to survey people in substantial numbers of the representative sample of your target market to get reliable stats. Qualitative research is about finding out not just what people think but why they think it. It’s to get people talk about their opinions to understand their feelings and motivations. To get in-depth feedback, conduct face-to-face interviews and group discussions. Especially when you are developing new products and trying out new initiatives, with this approach you get instantaneous reactions to make qualitative research valuable and helps you refine your approach. With the collated data from Market Research, it’d be simpler to create a marketing strategy. This study will support your thoughts on the feature set and functionality of the mobile application. Anybody can build a mobile app these days. But, the art of developing a successful mobile App that generates both value & revenue is not a cakewalk. Unless the mobile App has a hook factor that brings the existing user to reuse the mobile app, the chances of increasing the user base is low. Market research will help you to identify the factors that will make the users come back to your mobile application more often. Push notifications, and reminders are some of the basic techniques to do this. Also, ensure that there is a stickiness quotient in the mobile App. Stickiness factor is anything that keeps the user stay in your App for a longer duration. These are the key factors that will retain the user base and encourage more user activities. You must have seen apps employ leaderboard techniques, which fall under this category. Once the high level of research is completed, create a plan! This plan should include timelines, objectives, measuring matrix, budget and outreach channels! According to the category of the mobile App, define the channels that you need to focus to reach out to them. The common online channels are forums, social media sites, blogs, video networks and Q&A sites. Each of these platforms have a different approach model. Create a structure of how and when you need to execute them. It’s now time to start reverse engineering and explore your creative lobes! Create taglines, campaign pitches, one liners to build curiosity and interest among potential users! As you’ve now clearly understood who your target audience is, the objective of who to reach out to is clear. Once the development and testing cycle of the mobile application is completed, don’t directly jump into launching your mobile App. You can do an Alpha, Beta, Soft or a Hard launch. Alpha Launch: Friends, Family, Partners and all well wishers fall into this category. Minimum cost, basic features, test your concept and see if it really makes sense in the real world! Beta Launch: Launch your mobile app to limited audience with known bugs and failures. This is ideal for testing and getting user feedback. You are obviously not putting your app in the store during these stages. It is better to use tools such as Test Flight to figure your app distribution and have your audience test the app. Soft Launch: Launching the app after completing all the development cycles, but on a low scale. Launching the app to a limited geography for getting the initial user reaction is also a good idea to try and test your App. You would have seen apps being launched in New Zealand and Canada before being launched formally in US? Why? Because USA is make or break for these brands while they can go through multiple cycles to get the concept right in smaller markets. Blogs and invite only techniques are other soft launch practices to slowly increase the user base. Ever since Gmail was introduced and the recent Inbox App which Google launched, this is a popular tried and tested practice! Hard Launch: This is a MUST LAUNCH moment! This should be in association with some event or the advertising campaigns that you scheduled in the marketing strategy. The launch date of the App is very critical. Depending on the category of the mobile App, decide on the launch date. For example, if it’s a mobile application for sports industry, if you can launch it during the time of sport events will make more sense and you’ll get more visibility. Do a press release during the time of the launch of the mobile App. This will create more visibility and attention to help you increase the user base. Launch party (optional): If you have the budget, it’ll be a good idea to throw a launch party for the mobile App. The invite list should include bloggers, media houses, the press and me! If you can even send a limited invite to your target audience, nothing like it. You can also engage with your target audience before the launch. Using filters and other social media practices, reach out to your target audience and create curiosity among them. This will give them a heads-up and a reason to download the App when launched. Take leverage of facebook, twitter, instagram and LinkedIn to connect and engage with your target audience. Pinterest and Dribble also gives you more visibility. Give special invites and sign-ups before the launch to keep them engaged throughout. Outside the App store and Play store, you want more people to know more about your mobile App. To get more user base, it’s important to have a dedicated landing page or website for your mobile App. Optimize your app website or landing page for your targeted keywords to get more visibility and traffic from web search engines. App Store Optimization is one of the most important aspect of App marketing as more than 70% of smartphone users discover new Apps through App Store and Play Store searches. List down the best keywords and optimize your App title and description based on these keywords. This will help you gain visibility in App store search results and thus increasing your user base. Invite the industry bloggers and tech bloggers to review the mobile App. This helps in SEO and creates a larger online presence for the mobile App. As and when your target audience reaches out to these blogs to get their daily dose of information, you’ve got their attention! Create enticing App screenshots for the App Store and Play Store. This is where the last level of decision making involves for a user to download. Create a description with bullet lists to answer all the questions that the user might have, and also flaunt the feature set of your mobile App. You’ve spent a lot of time in developing the mobile app. How much should you price it? What should the pricing be? Or should it be given free? These days, consumers are looking for free alternative apps than paid applications. The common practice these days is to increase the user base and then make revenue with ads or go with the Freemium model where the base application is given for free but in-app purchases are made popular and critical for sustained use. The most attention span internet users have are for videos. Take advantage of this and create video ads and tutorials to engage with the user base. This will also help you reach out to a wider target audience and reach out geographically. You’ve now successfully launched your mobile app and you’ve a good user base. The secret key of all successful endeavours is to maintain a healthy relationship with the customers. Going any distance for the creating best user experience should be the primary goal! Like I mentioned earlier in the blog, keep pushing reminding the users why they need to use the mobile App. Push notifications to the user base with new offers and feature updates to keep them engaged. Have exciting offers to increase the user base. Referral systems, social shares, free coupons, festival offers are some of the successful practices you can see these days. Also, the freedom to control the level of push notifications should be given to the users. Keep track of the number of daily users vs the number of downloads. Understand the behaviour pattern to check if you need to rework on the campaigns or the user interface of the App. Keep colating these data to learn and unlearn from the market researches. To be the best mobile app in the category, responding to user feedback is essential! Users will trust and achieving that is crucial. Take feedback positively and engage with them through blogs and social media. As and when new updates are available for the mobile App, update the description from something beyond bug fixes. This helps the user understand why they should update the mobile App. If not this, the chances of users not updating the app is minimal. An updated description also helps in the App store optimization. Like any of us, earning brownie points is awesome! Give bonuses, points, offers for social-feed shares and regular app usage. This will give the users extra reasons to use the app regularly and even when they are not in real need. From sports, healthcare, education, travel, shopping cart, games, banking, entertainment, technology, communication, every industry needs a mobile apps! More than a luxury, it has become a necessity. Moreover, every smartphone users need mobile applications too! Developing a good robust mobile app is as equal as backing it up with a strong marketing strategy! What I’ve summarized above in short is how July Systems approaches each mobile application project. Marketing to us is perhaps the most important aspect of any engagement. We encourage ideation sessions with each customer before writing a single line of code to really help them think beyond the obvious, to succeed! During the ideation phase of mobile application development, we follow Stanford University’s Design thinking modules to create the best app marketing strategies for our clients.